Fraudsters Want Your ID Information. What Are You Doing to Stop Them? In 2016, identity theft amounted to $16 billion and affected more than 15.4 million people in the United States. 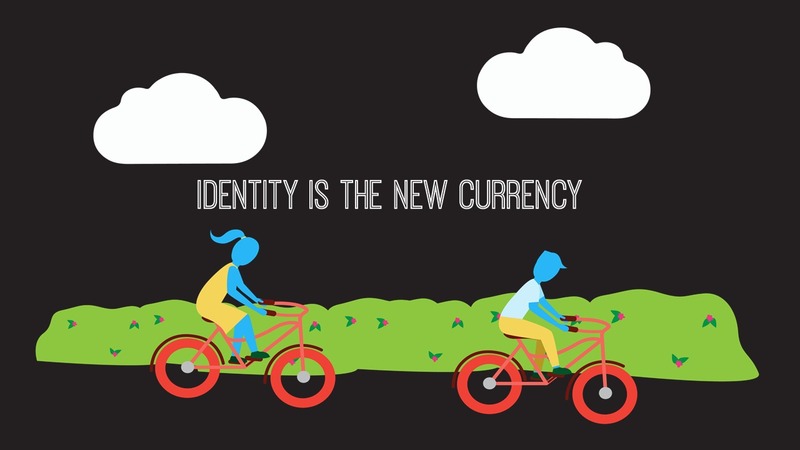 Your identity is arguably your most valuable asset, but how often are you aware of all the ways that you use it to transact? With the lines of physical and digital identity becoming increasingly blurred, it’s more important than ever to safeguard your identity during transactions. Are you doing enough to ensure you’re keeping your personal information – and your customers’ information – safe from fraudsters? Every day, Americans make transactions by swiping, scanning or chip-reading – from grabbing a cup of coffee to purchasing airline tickets. The convenience of these transactions, it seems, trumps concerns of information falling into the wrong hands. But the time has passed for simply hoping our ID information – and our customers’ ID information – will continue to be safe, simply because you’ve seen no evidence it’s been compromised. Let’s look at a typical day anyone could have to see how easily one can expose their ID information to considerable security risks. Mobile banking. Shortly after leaving the office, a person decides to check the balance of their checking account. They use the local coffee shop’s free Wi-Fi, because like 67% of Millennials, they use a mobile app to access their banking information. Though on an open network, they tap in their ID, password and perhaps other Know Your Customer (KYC) information, as required by anti-money laundering (AML) regulations. Did a fraudster track their every keystroke? Small business transactions. Because this person is now running late to a doctor appointment, they pull out their credit card to engage one of the 1,000 bike-sharing services across the country, a market that is expected to become a $6.1 billion business by 2020. Are the security measures employed by all 1,000 vendors up to par? How does this one rank? Medical Insurance. At the doctor’s office, they check in at the front desk, making their co-pay with the same credit card and giving their medical insurance card information which is likely photocopied. Like most people, this person is more than likely unaware that 15.4 million medical records were stolen in 2016 alone, and that 301 people across the country were charged roughly $900 billion in false billing. Although you’re in a rest-and-relaxation mode, you still know not to leave your hotel room unlocked or your wallet on a car seat. If only you could take similar measures to protect your ID information. Here are some common transactions that require ID information on a typical vacation – and some data associated with their risk of security breaches. Accommodations. The global vacation rental market is poised to be worth $193.89 billion by 2021. Fully 46% of customers check in using hotel loyalty programs, and loyal customers spend on average 67% more than new ones. Front desks and agencies are mostly taking your identity document photocopying it and storing it somewhere; a very insecure data capture method. All this makes vacation rental businesses likely targets for theft of identity information. Ground transport. Uber reported that 40 million people used the ride-hailing service in 2016. Incidentally, 8,000 ride-hailing service drivers in Massachusetts failed to pass new state background checks in 2017. Similarly, car-rental agencies routinely require a check of ID documents to complete transactions and mostly use the archaic photocopy method of capturing your ID leaving you vulnerable to a paper file floating around. Our free infographic, , illustrates just how important it is to protect your ID information. Acuant provides businesses with identity proofing solutions for trusted transactions, for more information .